When placing an order, all customers will be required to "check a box" agreeing to the statements below and terms of sale. 2. By selling or delivering ammunition to me, Ammo Supply Warehouse, LLC, LLC is not violating any state or local law or ordinance. 3. I am not under indictment for, nor have never been convicted, in any court, of a crime that prevents me from owning firearms or ammunition. If I am unsure, I will consult an attorney or my local police department before placing my order. I understand that Ammo Supply Warehouse, LLC does not ship outside the United States, or any other area within the United States where Ammo Supply Warehouse, LLC is prohibited by federal, state, or local law to ship product. Further, I also agree that if I attempt to have product shipped to these restricted areas, my order may be held up or confiscated by authorities, and hold harmless Ammo Supply Warehouse, LLC for any losses I may incur. I understand that Ammo Supply Warehouse, LLC is not responsible, and will not attempt a charge back with the payment method used. Any losses incurred are my own. We process our orders efficiently, and as such we often ship your order the SAME DAY, or within 24 hours. If your package has not left our facility, then we can cancel the order upon your request. If the package has left our facility, and is still in transit, WE MAY be able to have the package returned to us, and we can refund your order, less shipping charges and a RETURN PACKAGE FEE that is levied upon us by UPS. If the package has been delivered, and an error has been made on our part, please call us immediately to discuss options.For any refund/cancellation transaction, there will be a 25% restocking and administration fee deducted from your refund. We reserve the right to cancel orders where the purchaser does not abide by our Terms and Conditions. In the event that we must cancel your order, you will receive a refund of the full amount of the purchase less a $30.00 cancellation fee or 25% of the total purchase amount, whichever is greater. We do not want to cancel orders, but we must where a customer has not adhered to our Terms and Conditions. When this happens, it costs us time and money, as well as aggravation. Remember, it is your responsibility to make sure that you fully understand and comply with these Terms and Conditions. Given the nature of ammunition and given the nature of the industry, we WILL NOT accept returns under any circumstances. All sales are final and made without explicit or implied warranty of merchantability or otherwise. This is for your safety. However, in the event that we have made a mistake with your order, we will work to correct it IMMEDIATELY. In this situation, please contact us immediately upon receiving your package.Again, ammunition is 100% NON RETURNABLE or EXCHANGEABLE if your order has been delivered. Please ensure your order is correct before submitting your order...it's worth that little bit of extra time to ensure a smooth transaction. 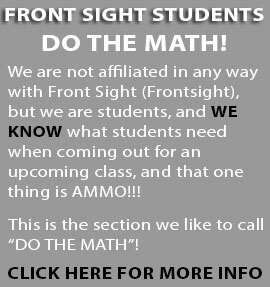 In the event that any of the above statements are determined to be untrue, I will indemnify and defend Ammo Supply Warehouse, LLC (DBA ammosupplywarehouse.com) and its owners, agents, officers, and employees against any resulting civil liability or criminal prosecution. We provide FULL INSURANCE for your packages, on our dime, to ensure that your product reaches your door as quickly and as trouble-free as possible. Once your product is delivered to your door, you assume all responsibility for and hereby explicitly release Ammo Supply Warehouse, LLC (DBA ammosupplywarehouse.com) from all liability and responsibility thereafter. You may also REQUEST "signature required" shipping, so that your package will not be left at your property, unattended. Please indicate this in the comments section during your checkout procedure. While Ammo Supply Warehouse, LLC offers high quality factory fresh ammunition, we are merely a reseller of products that are designed, manufactured, and tested by other companies. By placing an order with Ammo Supply Warehouse, LLC, you explicitly agree to release Ammo Supply Warehouse, LLC from any and all liability arising from or related to the products purchased to include but not limited to the use of the product, the storage of the product, and the transportation of the product. Furthermore, you acknowledge that you alone are responsible for how the product is used by you and by any other party. 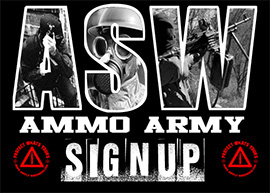 In the event that any other party files a claim of any kind against Ammo Supply Warehouse, LLC, you will indemnify and pay to defend Ammo Supply Warehouse, LLC (DBA ammosupplywarehouse.com) and its owners, agents, officers, and employees against any resulting civil liability or criminal prosecution. In the event that you choose to file a complaint against Ammo Supply Warehouse, LLC or any of its owners, agents, officers, or employees, you agree that such a complaint must be filed within a court located in Nye County, Nevada. You agree that any complaints filed within any other jurisdiction shall be immediately removed to a court within Nye County, Nevada and you agree to reimburse Ammo Supply Warehouse, LLC and its owners, agents, officers, and employees for any costs they may each incur in defending against the complaint or effecting its removal until such time that the complaint is properly filed within a court located in Nye County, Nevada.